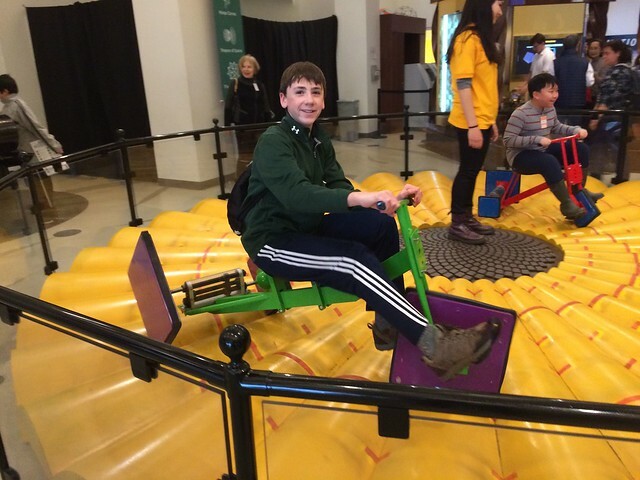 Visiting the Museum of Math! 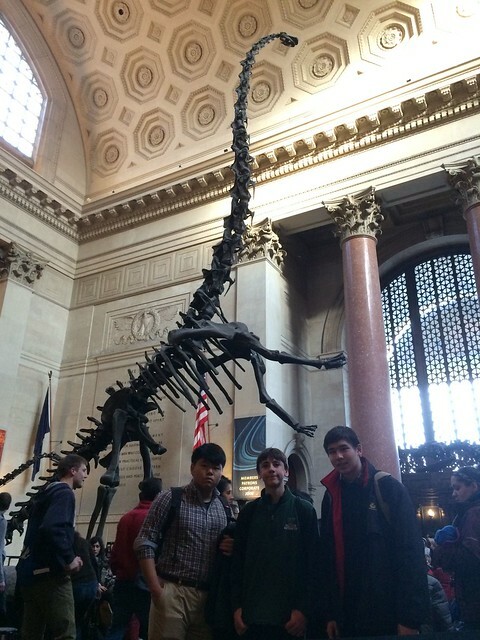 On Sunday, 2/22, a few members of the Math Team and I had a fantastic day visiting the Museum of Math in Manhattan! Photos from our trip are online, as well as a few video clips. We left Williston at 7am and headed south for New Haven where we caught a train at Union Station that took is straight in to Grand Central. We got a quick bite to eat in Grand Central before walking about a mile south to the Museum of Math! The greatest surprise of the day was how wonderful the weather turned out! Our walk to the Museum of Math was full of sun and the hum of NYC! 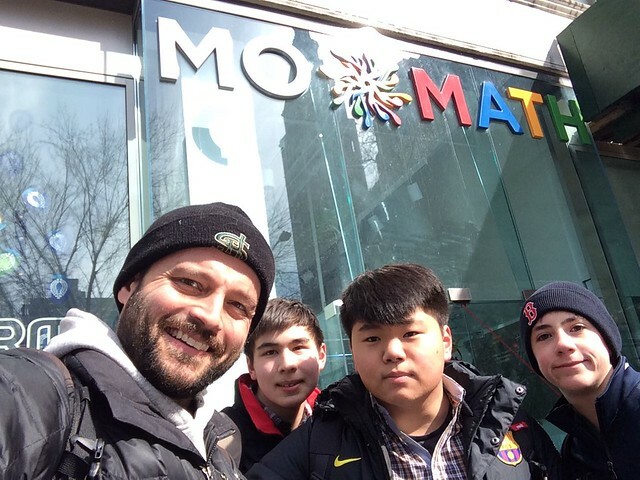 Outside the Museum of Math! A bike with square wheels! 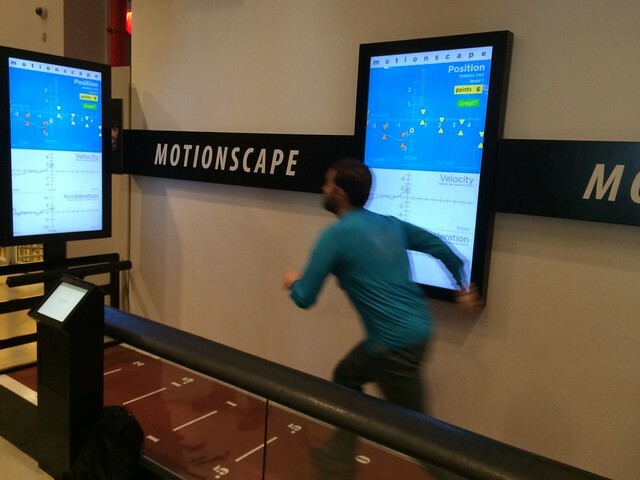 …and then moved over to the “Position, Velocity, and Acceleration” station! 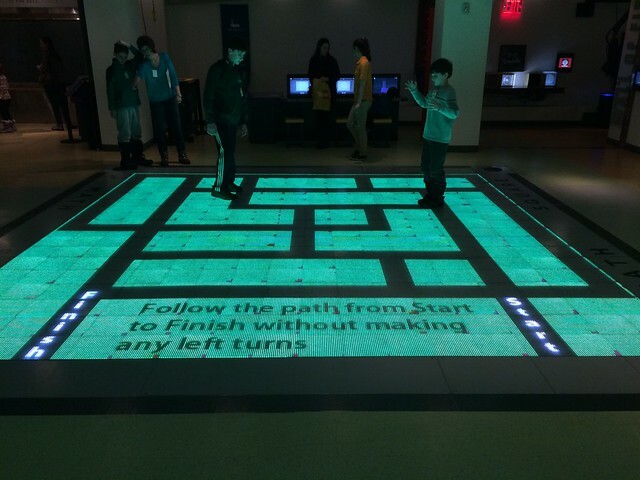 Right turn maze! Can you find the correct path? 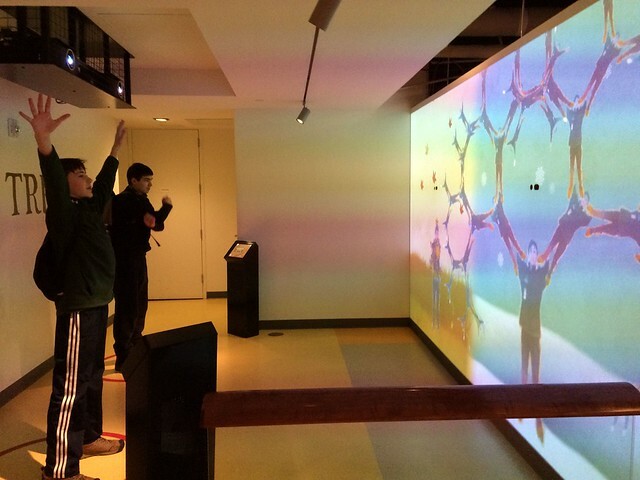 …and the fractal dancing projection booth! After a solid two hours exploring all of the stations, we went back out into the city and walked north west through Times Square! We then caught the subway to American Museum of Natural History where we saw the “Dark Universe” IMAX show at the Hayden Planetarium! Amazing show, especially with the narration by Neil deGrasse Tyson! Back outside in the sun, we walked a diagonal across Central Park, to the southwest corner of the park, past the skating rink and many great views of the city. 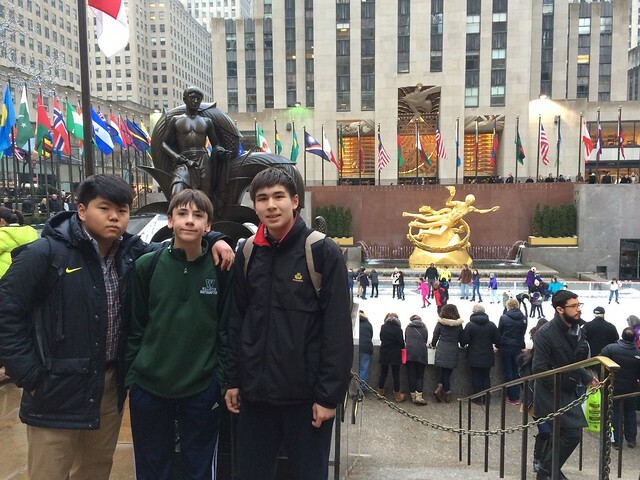 We then walked south down 5th avenue, checking out the shops and making a pass by the Rockefeller skating rink. We then wrapped up our time in the city with a very tasty Japanese dinner, before hoping back on a train at Grand Central bound for New Haven. We made it back to campus around 9:45pm, excited by all that we had seen and done during the day. We can’t wait to return next year! 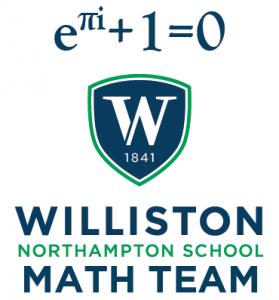 Everest, Enlightenment, and Cash: Be like Andrew Wiles and join the Math Team! This morning I gave an announcement in assembly on why I think everyone should join the Math Team: Everest, Enlightenment, and Cash! 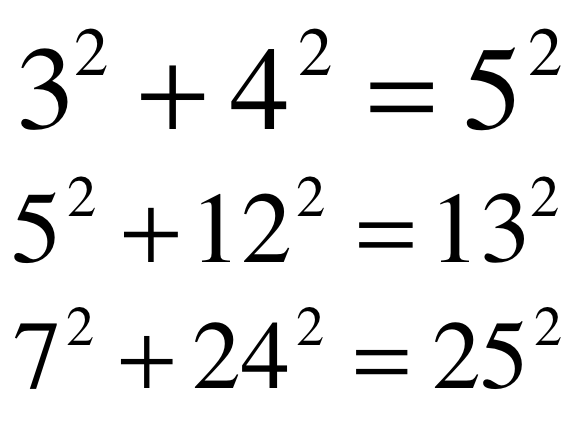 Who wants to see the hardest math problem in the world? What if I told you everyone in this room could understand the problem? Who can tell me the answer to any of these questions? If you had a calculator, could you solve them all? 3,4,5 and 5,12,13 and 7,24,25 are called Pythagorean Triples. How many of them do you think there are? As hard as people searched, no one could seemingly find any. But not finding something doesn’t mean it’s not necessarily there. So people kept searching… and searching. 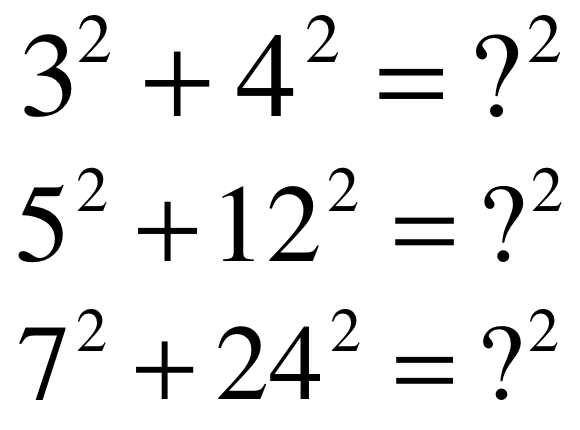 Are you ready to see the hardest math problem in the world? In 1637 Pierre de Fermat wrote in the margins of a famous book called Arithmetica that he had a proof but it was too large to fit into the margin. 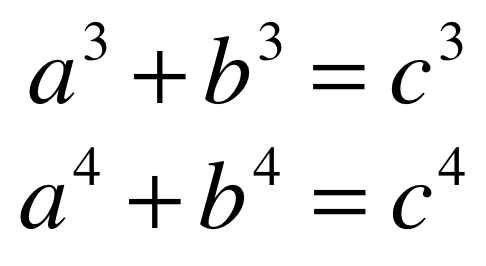 Mathematicians kept looking for a proof. For 50 years, for 100 years… for 300 years. 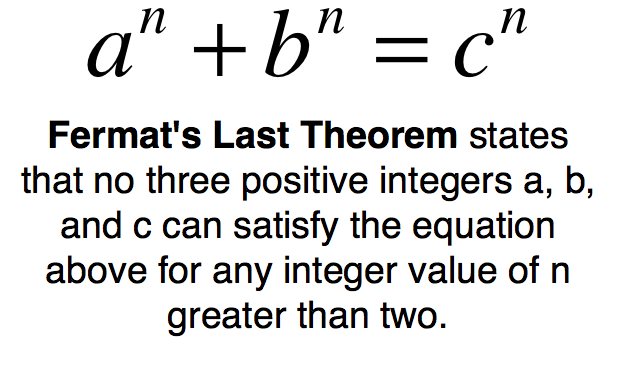 The search ended in 358 years later in 1995 when Andrew Wiles, a professor at Princeton, completed a proof. Why? What’s the value? Why did Andrew Wiles devote 7 years of his life to solving a problem that had fascinated him since the age of 10? Everest: The tallest mountain in the world of math was THERE. Enlightenment: In the process of creating his proof, Andrew Wiles created who new fields of math that help us understand how the Universe works. Cash: He has been awarded a tremendous amount of money for his proof. In fact, in 2000, the Clay Institute named seven “Millennium Problems”. A correct solution to any one of the problems results in a $1,000,000 prize. At of today, six of the problems remain unsolved. 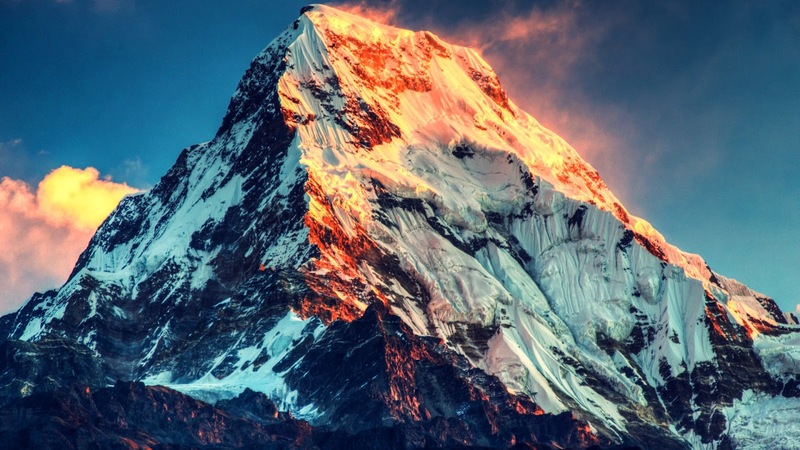 If you have any interest in climbing Everest, finding enlightenment, and becoming rich, then…. 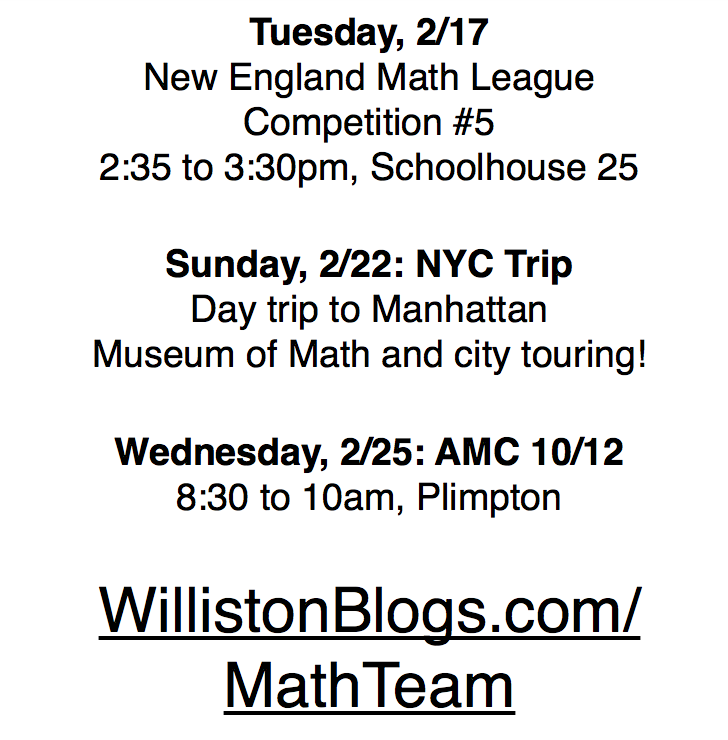 2/17: Anyone can show up to participate in the New England Math League. 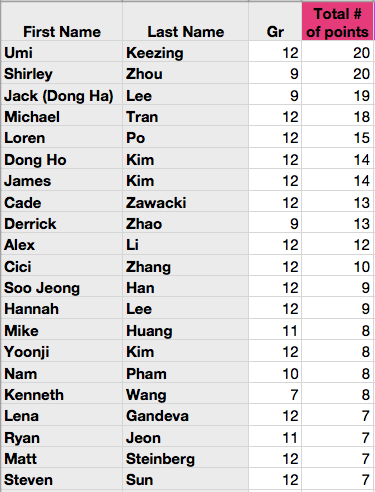 After 4 rounds we are holding a very strong 23rd place out of all 141 teams in New England, and 14 out of 80 in MA. No sign up is necessary. Just show up! 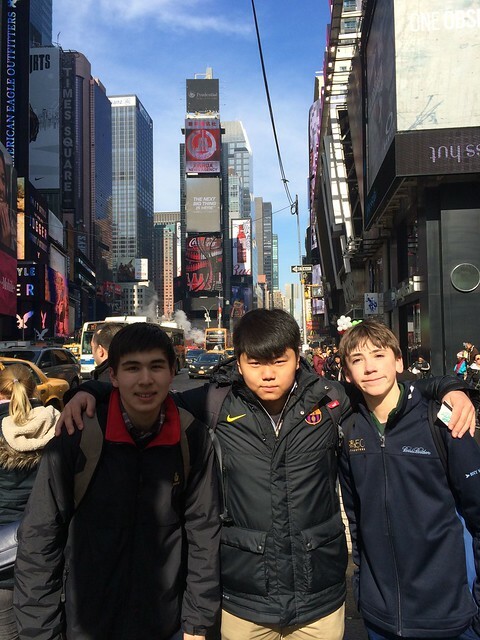 2/22: Come to New York City with us! We have a couple spots left on our bus! Sign up right here! 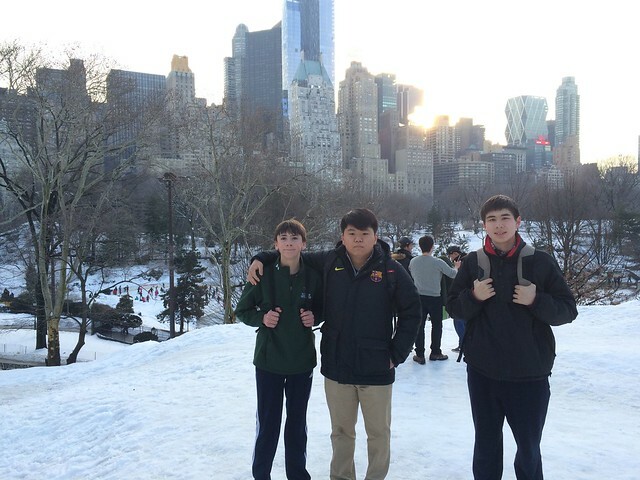 2/25: Sign up to compete in the American Mathematics Competition. 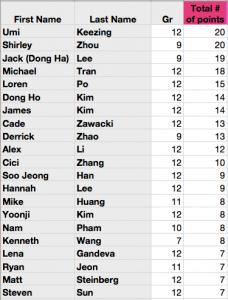 This is the first level competition to find the team that will represent the United States in the International Math Olympiad. Sign up right here! Remember, you can have it all: Everest, Enlightenment, and Cash.